Digital customer experience is at the center of smarter Customer experiences. 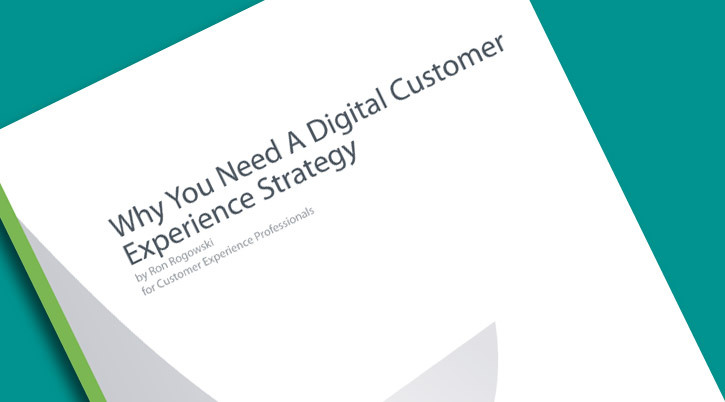 Customer experience consultancy MCorp was recently interviewed for and mentioned in the Forrester Research, Inc. report, “Why You Need a Digital Customer Experience Strategy,” authored by analyst Ron Rogowski, released on May 18, 2011. As noted in the report’s title, “It’s Time To Back Up The Claim That Digital Customer Experience Is Important.” It goes on to outline the key elements of a digital customer experience strategy, where it should come from, and how firms can get started building a strategy that’s right for their brands. More information on the Forrester Research Inc. report is available here. Smarter customers demand smarter customer experiences – and digital touchpoints are increasingly important in delivering them. The rapidly expanding number and importance of digital touchpoints – as well as the growing strategic role these touchpoints play across the enterprise – demand that digital customer experience strategy becomes a top priority. Without digital experience strategy tied to a broader, multi-channel customer experience strategy, organizations will continue to deliver different and often inconsistent experiences across different channels. “Through MCorp’s customer experience research, we hear customers in virtually every industry describe some of the companies they deal with as ‘stupid.’ In a world where the majority of customers will walk after a single bad experience – and tell 80 percent of their friends about it – no company can afford to be perceived as stupid. It’s time to reassess how customer experience is designed and delivered. And prioritizing the role of digital experience is central to this effort,” concluded Mr. Hinshaw.